Once a war orphan slave named Patricia, Peacock’s body was gruesomely mutilated by slave traders that captured her. 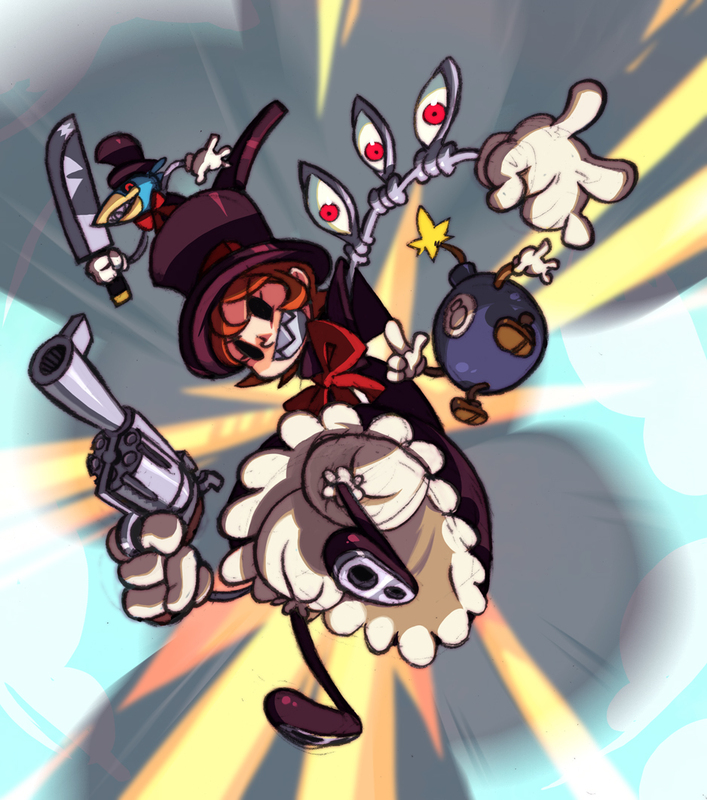 She was rescued by Dr. Avian’s Anti-Skullgirls Labs, and rebuilt with a reality-defying arsenal of biomechanical weaponry: the Argus System augmented her body, and the Avery Unit gave her access to unprecedented weaponry. 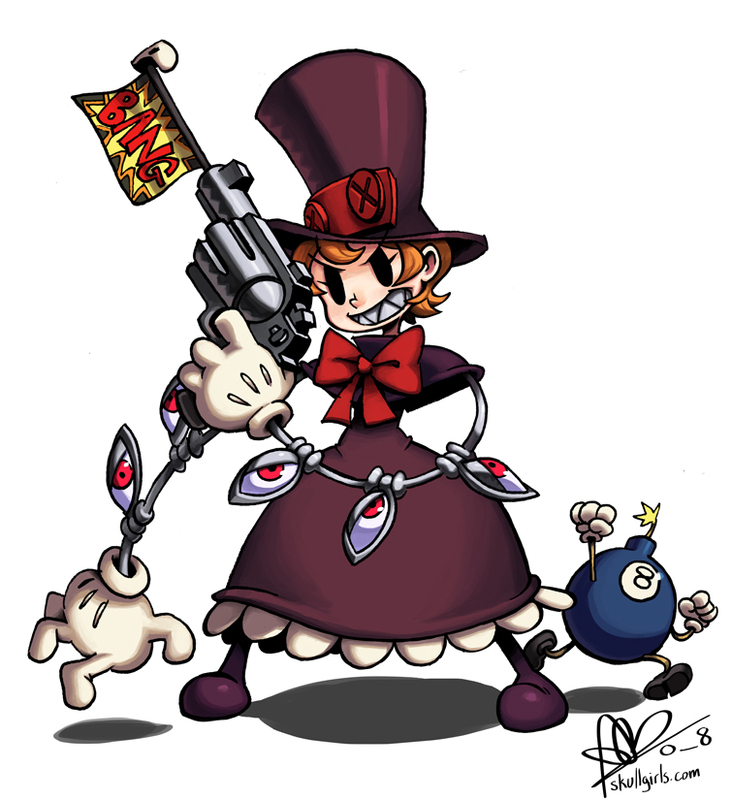 Alas, they couldn’t do anything for her mind: Peacock’s damaged psyche and abiding love of cartoons shaped her new “toys” into a terrifying gang of cronies, who she has no qualms using to paint the town red… with blood. 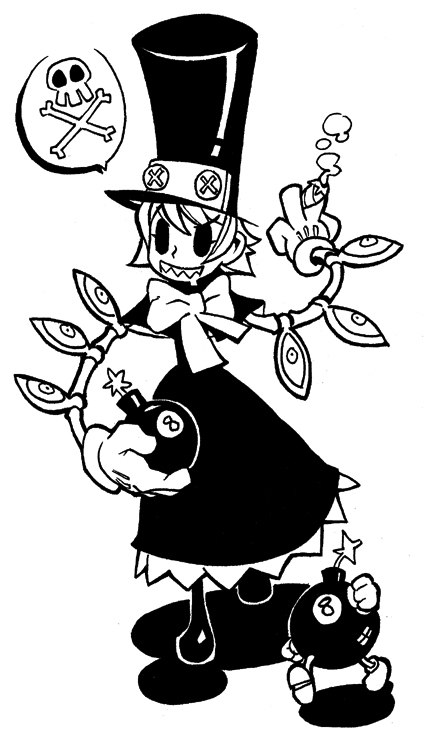 Terrifying as she is, she may be the kingdom’s best bet against the Skullgirl. So is this what you get when you mix 50's cartoons with B.B. Hood? Hmm. 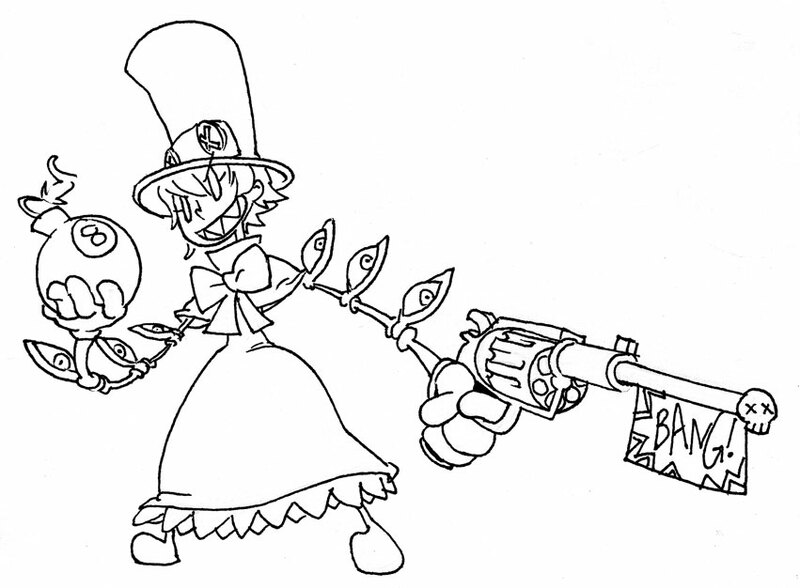 Peacock is clearly a bizarre character design. She's got some crazy animations, and her long-range "keep away" fighting style is pretty cool and balances out the roster. 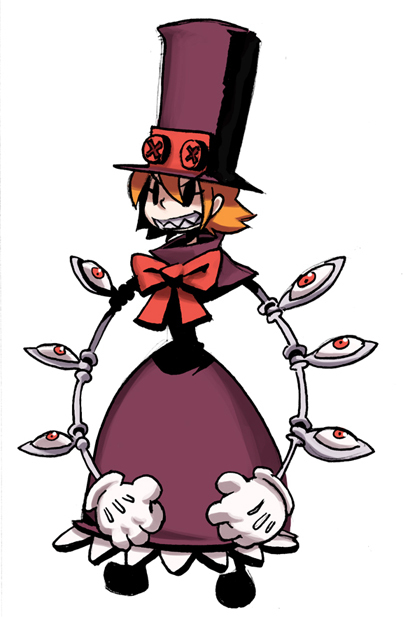 Peacock is so obscure, that she almost doesn't seem to fit in with the rest of the Skullgirls cast... she just seems like a walking 2D cartoon (while the other girls actually seem "fleshy"). 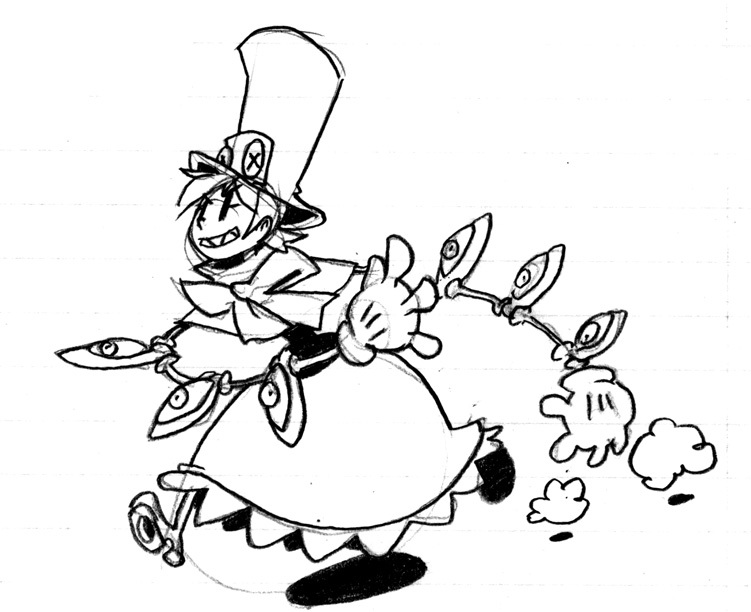 It's like she's drawn in a completely different style than everyone else in the game, and to her credit, I suppose it also helps her stand out as a design.